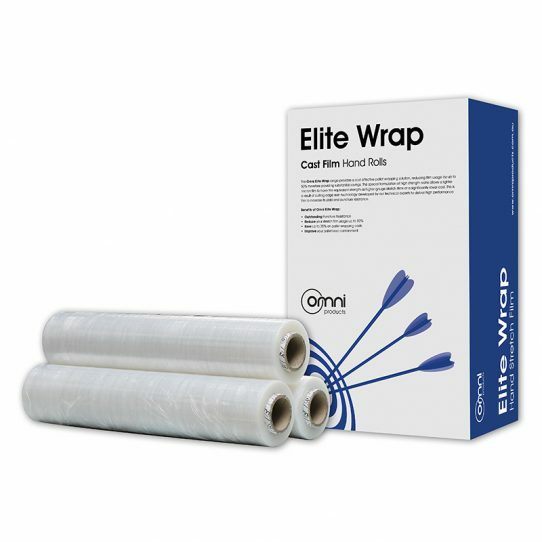 Elite Hand Pallet Stretch Wrap is Thinner, Stronger and Longer than ever seen before in the market. With a stretch capability of over 300%, this Omni stretch wrap allows you can wrap more pallets with less film. Using a special formulation of high strength resins allowing a lighter micron film to have the equivalent strength as higher gauge stretch films at a significantly lower cost as well as increased stretch yield and puncture resistance. The ‘Elite Wrap’ is a natural coloured cast pallet stretch film that is available in hand and machine rolls for both pallet wrapping applications.